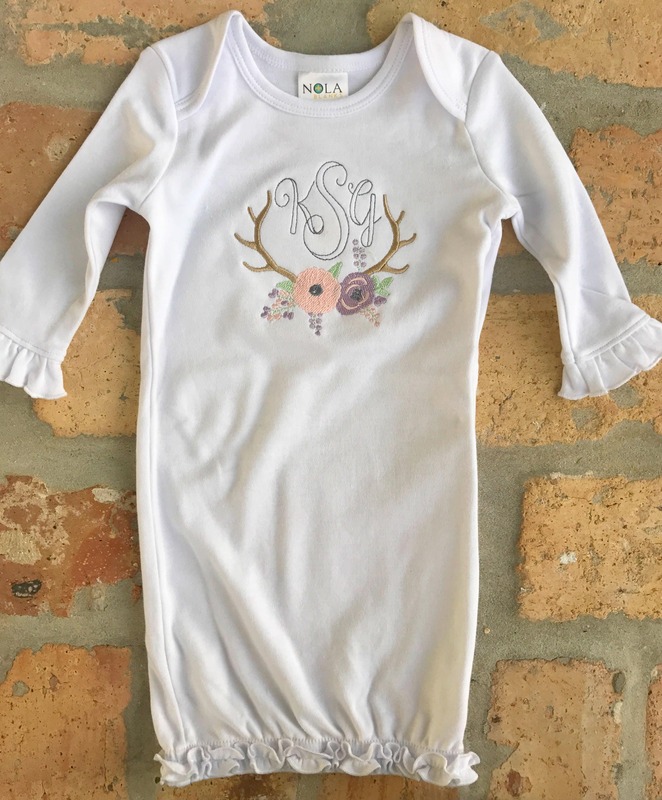 This ruffled monogram infant gown is so delicate and sweet, perfect for that little bundle of joy. 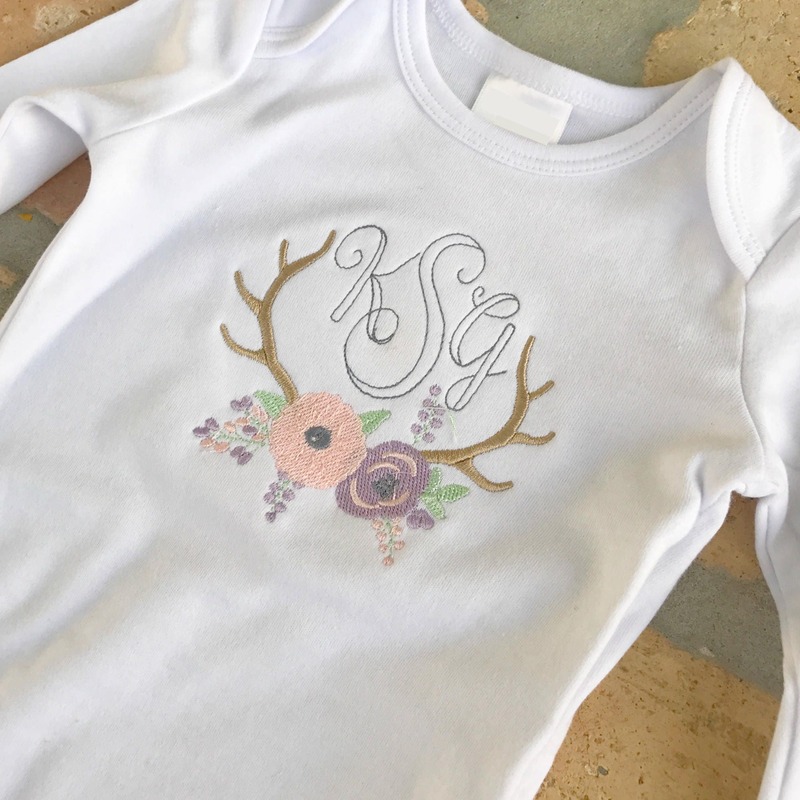 It comes monogrammed and embroidered with your monogram of choice, with a floral antler frame. Want to customize the colors? Feel free to send us a message, we are happy to accommodate.